I will resist the temptation to tell you how, as a resident of the Pacific Northwest, I long to flee our grey, wet, mild winters. That story has likely been told countless times, today alone, on blogs and web sites. But this is the season when I can get away from the studio and seek quiet and inspiration, and so I travel. Sometimes near, sometimes far, sometimes only my mind wanders. I look for surprises in the landscape, in the books I don’t have time to read at home, in the corners of my brain that don’t often have the chance to hang out and be seen. The easiest way for me to escape the “sameness” of my mossy seaside town is to head across the Cascade Mountains, just a short ferry ride away. Near Steven’s Pass I am likely to see a line in the sky: sun in my eyes, clouds to my back as I head east. Douglas Fir are quickly outnumbered by Ponderosa Pine, the moss disappears, and the dry air quickly reminds me that I am now in the arid part of the Northwest. I’ve spent a couple of recent weekends on “the other side” of the mountains, where colder temperatures and blue skies and deep snow help me feel that I’ve traveled much further than 146 miles. The days I spent skiing, taking photos, soaking in the tub and simply relaxing at Sleeping Lady Mountain Resort were rejuvenating. 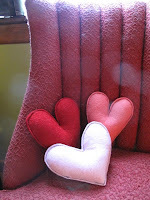 With renewed energy, I found myself creating a small collection of new Valentine’s Day items in just a matter of days. 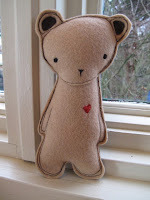 New Valentine's Day items for 2013, available exclusively on Etsy from Kata Golda. Sweeten your home with a set of three heart pillows (left). 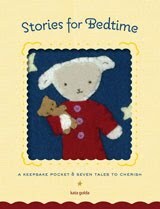 Our new felt bear with an embroidered heart (right) is a sweet companion for young loves, or a romantic valentine for older ones. can hold love notes, jewelry or any sweet nothing for a loved one. View Kata Golda's original Valentine's Day collection. 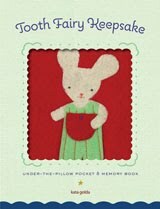 Orders placed by 2/6/13 will arrive by 2/14/13. The trip also gave me the mental clarity needed to plan for 2013. Now, making plans may not sound enjoyable or relaxing to some of you, but I take great pleasure in it. This is another reason I appreciate winter: the early, dark nights give me time to think ahead, to look forward to upcoming endeavors, and plan for winter travel. And so it was that I found myself eyeing my black suitcase (which looks like every other black suitcase), thinking that for an upcoming trip to New Mexico I really ought to make a tag that stands out in the luggage carousel. Here it is, the result of a winter evening inspiration — something I would never have completed on those lovely, endless summer nights. I've put together a quick DIY Felt Luggage Tag tutorial so that you can make your own. Happy travels to you, whether you go near or far, or nowhere at all. Inspiration can be found with the slightest change of perspective, even if it’s just the changing of the light. P.S. : Any ideas for “must see” places in New Mexico, or feel like sharing photos of your finished luggage tag? Please drop me a line. 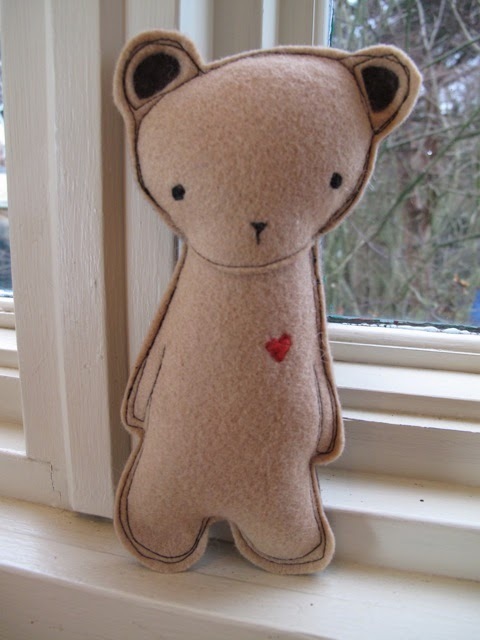 All orders placed by 2/6/13 will arrive in time for Valentine's Day. All orders placed by 3/21/13 will arrive in time for Easter. Personalized and custom orders welcome. 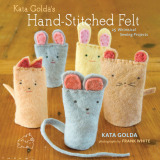 Kata Golda creates unique gifts for children and adults using a combination of hand-dyed wool felt, stitching, and letterpress printing. From photo albums and guest books to hand-stitched items and personalized gifts, Kata Golda’s work is a treasured heirloom for any occasion.